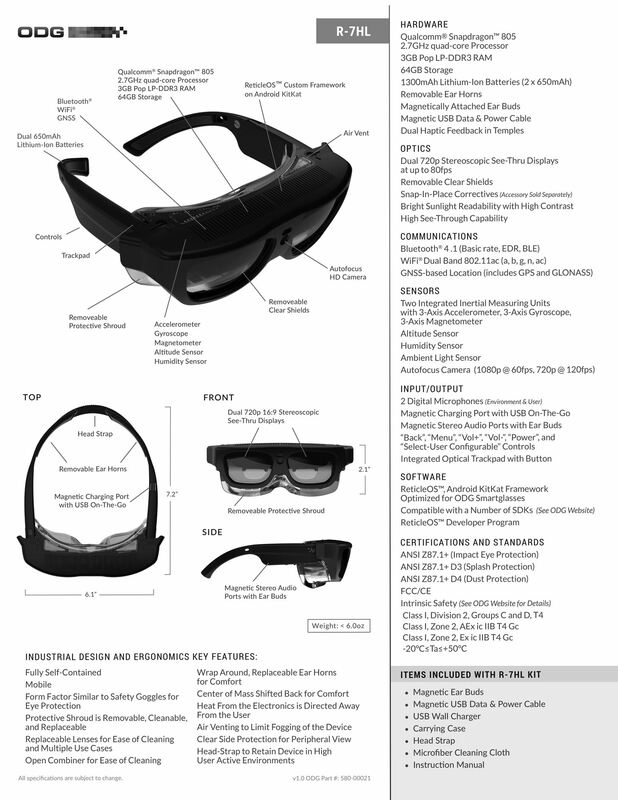 Osterhout Design Group just announced the upcoming release of the newest addition to their smartglasses lineup, the R-7HL, short for R-7 Hazardous Location. 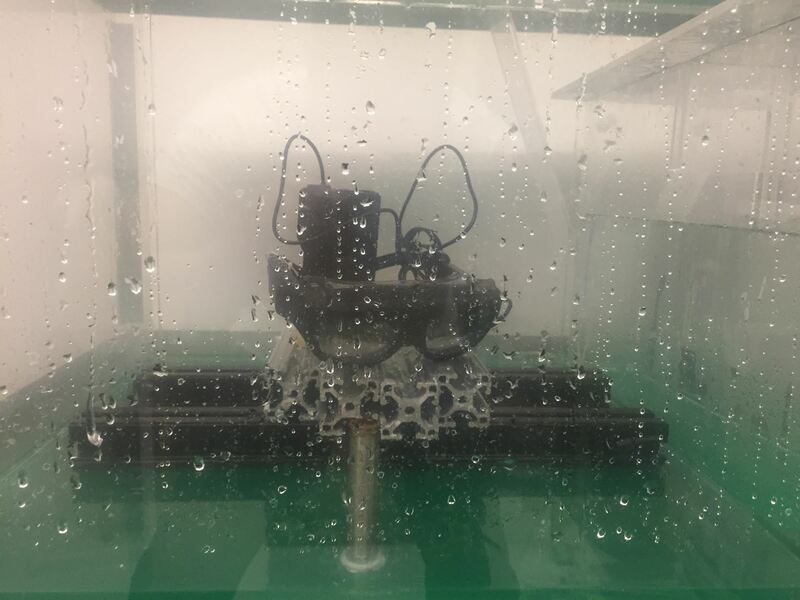 ODG worked directly with customers who work in extreme environments to come up with a durable solution that fits their needs; These smartglasses can not only survive but function well in many areas that would otherwise be considered too harsh for augmented reality tech. 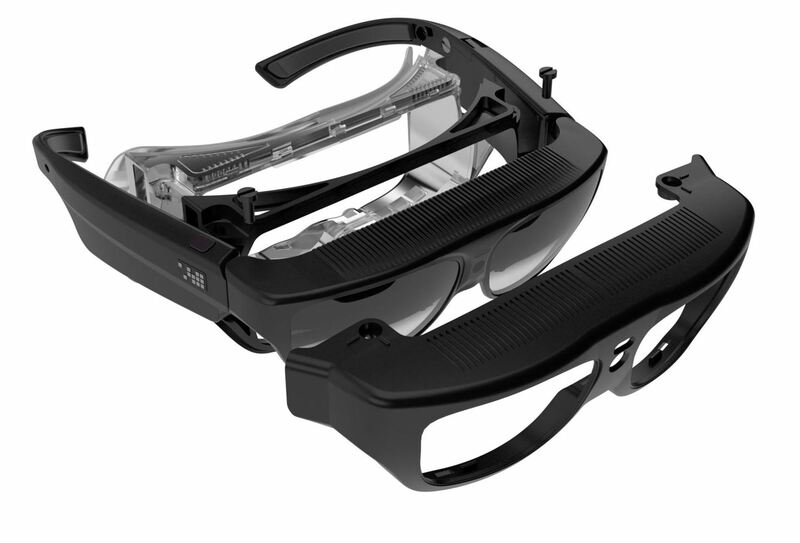 These new smartglasses are a redesign of the current ODG offering on the market, the R-7 smartglasses. The new ruggedized design, given a Military Standard 810G grade, adds a goggle-like framework to the R-7 design to give the wearer added layers of protection from chemical spills while offering all the benefits of a hands-free experience. Christopher White, Vice President of Business Development at ODG, talked with me about their new rugged augmented reality headset, and explained that many of the new features add layers of intrinsic safety (IS)—a specification that applies to certain types of low voltage circuits to ensure that a device being used will not create a spark, setting off flammable gasses or create other potentially volatile situations. These are designed to be ideal for industries such as oil and gas, chemical production, and mining. White also walked me through the primary use-cases they see the device being used for in these environments. Telepresence: POV-based collaborating and remote assistance options. Heads-Up Display: Real-time information being sent to the user about what they are working on, allowing them to work hands-free. Assist Reality: A combination of productivity and training features such as how-to and training videos, and automated instruction systems task lists. 3D Visualization: The ability to view complex data in the space around the user. Augmented Reality: Bringing real world and digital objects together. One might wonder with the R-8 and R-9 models coming out soon, why ODG chose to use the R-7 as the model for the ruggedized upgrade? According to Christopher White, "it has a brighter view." As someone that has tried on the R-7, R-8, and R-9 models, that is a completely legitimate answer. With the current optic options out in the world at the moment, any change requires a tradeoff. The R-8 and R-9 have larger fields of view, but at the expense of brightness. ODG's new end-to-end solution, the R-7HL smartglasses, will be priced at $3,500 compared to the $2,750 of the normal R7 model, and can be preordered as of today. The currently expected shipping window is "by the end of the second quarter of 2017." Have you been looking for a hands-free solution for hazardous work areas? Let us know in the comments below.